All eyes are on Mexico as community members respond to two devastating earthquakes that have left hundreds of people dead over the past weeks. In many cases, civilians facing an inadequate government response have taken on the task of rescuing and finding missing people. But it isn’t just in the wake of natural disasters that such tasks have fallen to the groups most impacted by crisis. 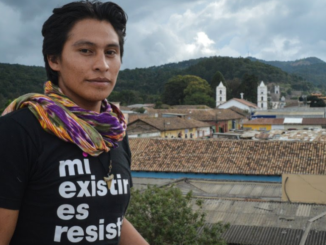 Three years ago, 43 students from the Ayotzinapa Rural Teachers’ College were disappeared and six others murdered by police in Iguala, Guerrero, in the most high profile case of state violence in recent years in Mexico. On the night of Sept. 26, 2014, municipal, state, and federal police, as well as soldiers, participated directly in the enforced disappearance, repeatedly firing at the 43 teacher trainee students, who had commandeered several buses for transportation protests in Mexico City. Some students managed to take shelter in nearby homes or wooded areas, while others were arrested and have not been seen since. The disappearance of the 43 students sparked massive national and international protests, drawing worldwide attention to the crisis of the disappeared in Mexico. Over a dozen books have been written about the case, while the International Group of Independent Experts (GIEI for its Spanish initials), convened in response to Mexico’s inability and unwillingness to effectively analyze the case, produced two reports with over 1,000 pages of evidence about the case. 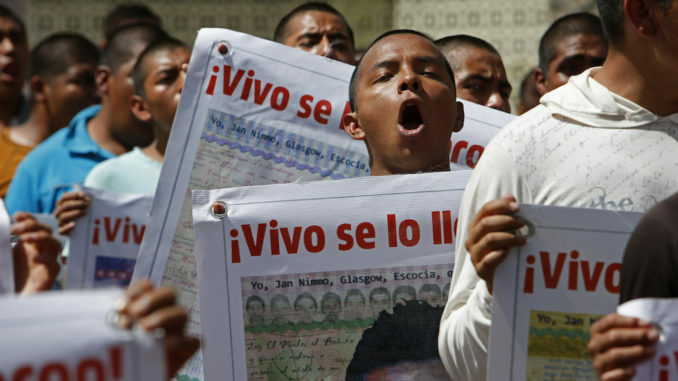 Despite local and international attention on the Aytozinapa case, the Mexican government has maintained a version of events that claims that the students’ bodies were disposed of in a fire at the Cocula dump and that those responsible have been imprisoned, which is impossible according to the evidence collected in the GIEI report. “We still don’t know where the students are and we don’t know the entire story of what happened to those 43 once they were driven out of the city of Iguala,” said John Gibler, whose newly translated book about Ayotzinapa, I Couldn’t Even Imagine that they would Kill Us, will be published by City Lights Press in November. In the two years following the attacks, Gibler interviewed 25 of the surviving Ayotzinapa students, as well as scores of eyewitnesses who were present as police hunted students that night in Iguala. “When I went there my initial idea was the way I would be able to participate and help in some way would be going slower, trying to figure out, a really solid understanding of the events of that night,” said Gibler in a phone interview. And yet even after all of the international attention and independent investigations into the Ayotzinapa case, we still don’t know who is ultimately responsible for ordering the capture and disappearance of the 43 students. “Who can command Federal Police, state police, municipal police, and the army, all together?” Gibler asks. “Not a mayor, not even a governor, right. Who makes that command?” Of the approximately 170 people in jail for the attacks, only 70 have been charged, related to kidnapping and not to murder or enforced disappearance. But the disappearance of the 43 Ayotzinapa students is the tip of the iceberg and a paradigm of enforced disappearance, not an exceptional case. Official numbers suggest over 30,000 people have been disappeared in Mexico since 2006, often at the hands of state forces or criminal groups in collusion with police. Victims groups say the total number of people disappeared over the same time span could be six to nine times higher than the official number. Families often fear making a formal complaint for fear of reprisal. Disappearances surged after former President Felipe Calderón took office in December 2006 and militarized the drug war, which has continued under the current administration with ongoing support of the United States through the Mérida Initiative. 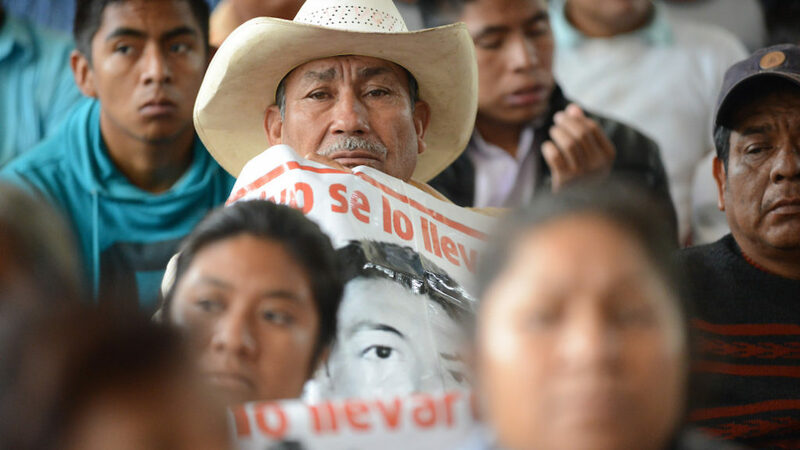 Though international attention on the Ayotzinapa case has waned, the parents of the 43 disappeared students continue to mobilize and search for the disappeared, as do dozens of other family and community-based collectives that have formed across the country. Mario Vergara of Huitzuco, Guerrero, whose brother Tomás was disappeared in 2012, co-founded the group Los Otros Desaparecidos de Iguala (The Other Disappeared of Iguala) with his sister in 2014. The search group is dedicated to looking for thousands of others disappeared in the region before and after the massacre in Iguala. “It’s not in the news any more, but we are continuing to search for our family members, because they have not yet been found,” Vergara said in an interview from his hometown of Huitzuco, which is near Iguala. The Vergaras have since left The Other Disappeared and have formed another collective that searches for clandestine graves in the area. 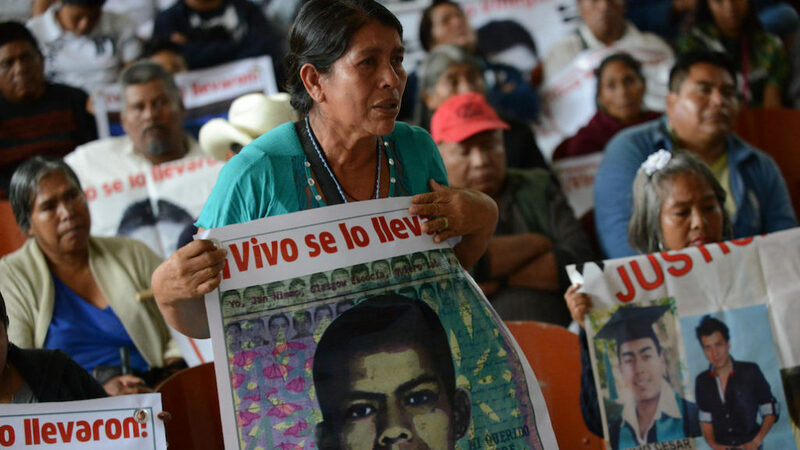 Since the events in Iguala three years ago, new research on the gruesome reality of enforced disappearance in Mexico has emerged, painting a more vivid picture of the nature and scope of the crisis. A report published in June by the University of Oxford, the Human Rights Program at the University of Minnesota, FLACSO Mexico and Citizens Supporting Human Rights in Mexico (CADHAC) reviewed 548 cases of enforced disappearance in the northern state of Nuevo León between 2005 and 2015. 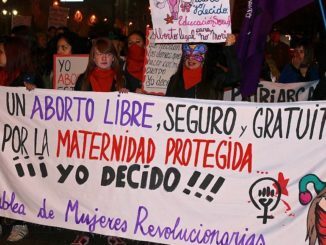 It found no evidence that victims of disappearance in these cases were linked to criminal activity, that many of the disappearances involved federal, state and municipal authorities, and that generalized impunity is the rule. Another report published in July by the Worldwide Movement for Human Rights (FIDH) found that between 2009 and 2016, crimes against humanity falling under the International Criminal Court’s definition were committed in Coahuila. The ICC defines crimes against humanity as generalized or systematic attacks against civilians. “These crimes against humanity – including crimes of severe deprivation of physical liberty, torture, and enforced disappearances – formed part of a systematic attack directed against the civilian population of that state.” Coahuila is home to the town of Allende, where between 28 (official figure) and 300 people (according to victims’ groups), including entire families, were killed and disappeared in March 2011. The common threads that tie together these horrific events, according to Rangel, are impunity, invisibilization, and the criminalization of victims: often, state officials and the media link people who are disappeared to drug trafficking and criminal activity. Over the weekend, search brigades digging out collapsed buildings worked around the clock in the capital, as parents and relatives of people disappeared in other parts of the country headed to deserts, dumps and hills to scour for traces that could lead to their loved ones. 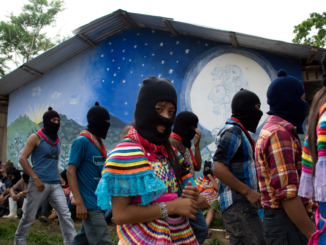 And in a gesture of solidarity that weaves a concrete connection between grassroots action in response to recent earthquakes, 150 students took a break from their own activities at the teacher training college in Ayotzinapa and joined rescue brigades in Mexico City. Dawn Paley is a journalist and the author of Drug War Capitalism (AK Press, 2014). She is a PhD student at the Autonomous University of Puebla, Mexico. This article was co-published as part of a collaboration between Upside Down World and NACLA.